The Predator Z301CT monitor has captured a big win leading up to CES 2017 with the “Best of Innovation” award, the #1 prize in the Computer Peripherals category. The “Best of Innovation” award for the Predator Z301CT monitor means that the judges deemed it to be the most impressive technology in the computer peripherals category and that it scored higher than all other entries. 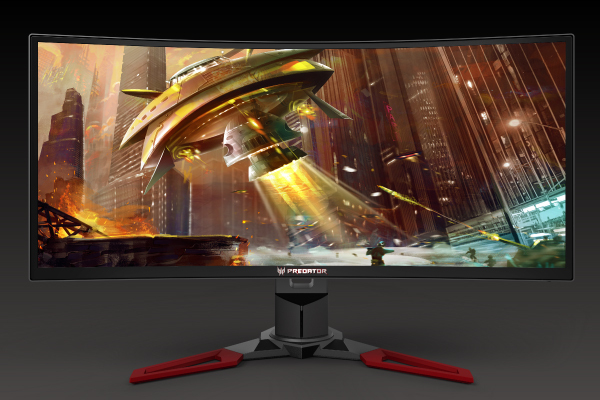 The Predator Z301CT is the world’s first 21:9 curved monitor with eye-tracking functionality. The monitor’s eye-tracking technology adds to a gamer’s arsenal of control tools, helping them to intuitively aim, target and shoot faster than competitors who only have access to a keyboard and mouse. In addition to the Predator Z301CT the Swift 7, the world’s thinnest notebook, as well as the Spin 7, the world’s thinnest convertible notebook, were also named “Honouree” in the computer hardware and components category. Since their unveiling at IFA 2016, both notebooks have much received international acclaim, including Japan’s Good Design award. Since its founding in 1976, Acer has achieved the goal of breaking the barriers between people and technology. Globally, Acer ranks No. 2 for total PCs and notebooks. A profitable and sustainable Channel Business Model is instrumental to the company's continuing growth, while its multi-brand approach effectively integrates Acer, Gateway, Packard Bell, and eMachines brands in worldwide markets. Acer strives to design environmentally friendly products and establish a green supply chain through collaboration with suppliers. Acer is proud to be a Worldwide Partner of the Olympic Movement, including the Vancouver 2010 Olympic Winter Games and London 2012 Olympic Games. The Acer Group employs 8,000 people worldwide. Revenues for 2010 reached US$19.9 billion. See www.acer-group.com for more information.